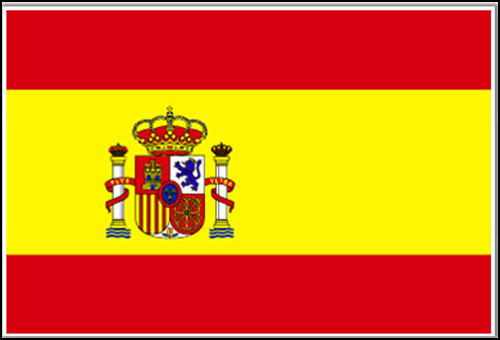 Spain Flag image for printout, free download and activities for students. The flag of Spain consists of three horizontal stripes with red on top and bottom, yellow in the center, the yellow stripe being twice the size of each red stripe. The coat of arms of Spain, featuring the Royal Crown, positioned left of center on the gold band. The Current official Spain flag was adopted on6 December 1978.